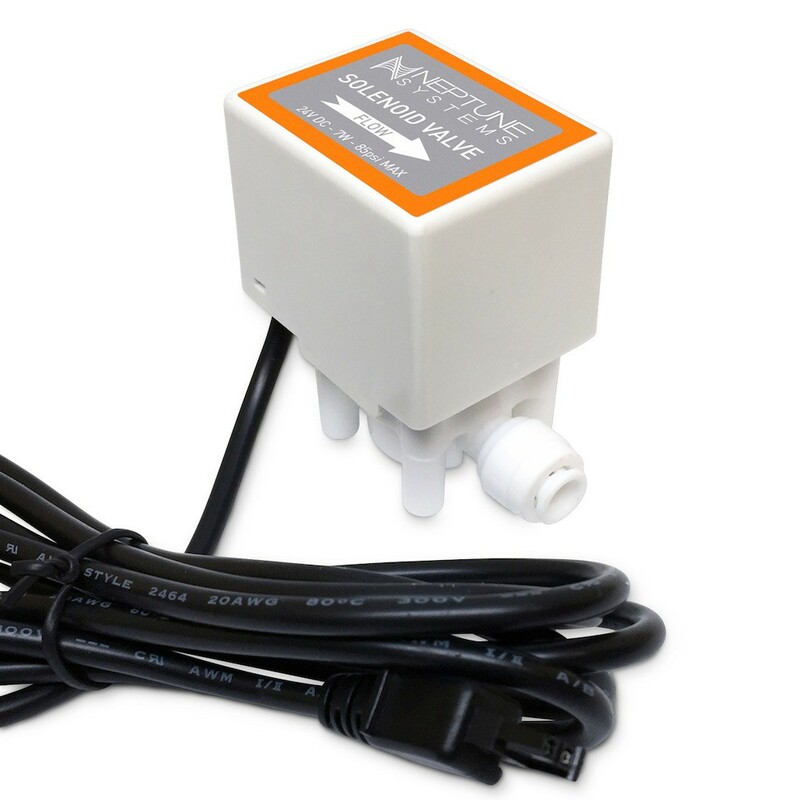 Neptune Systems SV-1 Common uses include safety stops for RODI systems, CO2 systems on calcium reactors, and many other places where you want to control the on/off flow of water, air, or other gasses. This 24VDC powered, normally-closed (NC), solenoid valve has push-fit tubing input and outputs designed for standard 1/4″ tubing. The electrical connection on this solenoid valve fits the DC24 accessory ports found on the FMM, 1Link, and Energy Bar 832 products. Common uses include safety stops for RODI systems, CO2 systems on calcium reactors, and many other places where you want to control the on/off flow of water, air, or other gasses. This solenoid valve can also be used with our standalone 24VDC power supply (not included) if you do not own one of the above products and want to use this solenoid valve with your Energy Bar 6. Solenoid Valve (SV-1) has not been evaluated yet.